Deepening and renewing the connections between university research and collections, the University of Göttingen has created a ‘Zentrale Kustodie’ as a development centre for its extraordinarily rich collections, amassed over 250 years. 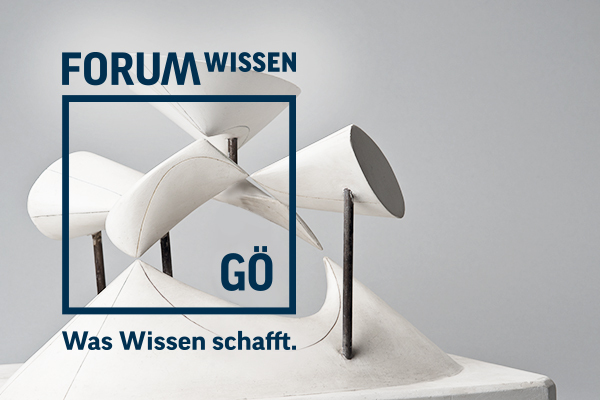 It has a dedicated and highly trained staff under the leadership of Dr Marie Luisa Allemeyer, and work has already begun on the Forum Wissen — a future venue for collections research, exhibition and communication that will have an extensive public-facing programme. 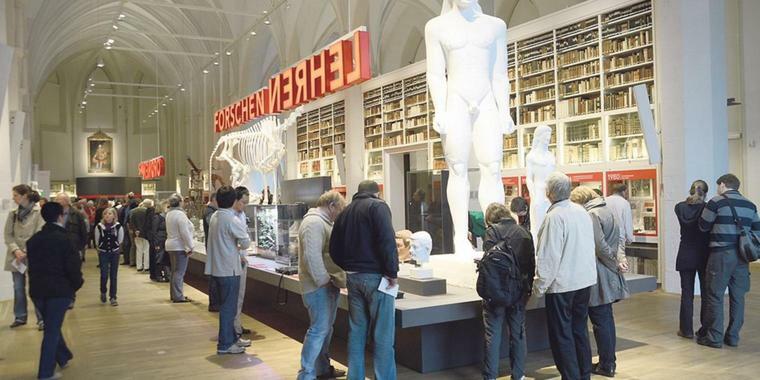 Due to open in a few short years in what was once the University’s Natural History Museum, Forum Wissen will significantly improve the landscape for interdisciplinary teaching and learning with, through and about collections. Partnering these developments, the University’s Institute for Advanced Study, the Litchtenberg Kolleg, extends invitations and infrastructures to visiting researchers whose knowledge spans collections practice and histories, and the histories of the disciplines. This year I have been a Visiting Scholar at the Lichtenberg Kolleg, The University of Göttingen Institute for Advanced Study. This is a joint Fellowship with support from, and collaboration with, the University’s Zentrale Kustodie for university collections and the Office of the Chair in the Materiality of Knowledge. Working with all three entities on a range of projects, it has been a stimulating and exciting time. It was not my first visit to Göttingen: in February of 2016 I was invited by Marie Luisa Allemeyer, Director of the Zentrale Kustodie, to speak on the ‘Wissensort Museum’ Programme of lectures known as the Ringvorlesung. Following the lecture I was able to spend several days at the University as a guest of the Zentrale Kustodie, visiting and viewing the extensive departmental collections and discussing the research and teaching plans that the Kustodie has been developing for one of the most innovative and inspiring initiatives taking place in university museum contexts today. When I received the invitation to return to the University of Göttingen that was extended by Dominik Hünniger, the Managing Director of the Lichtenberg Kolleg, I was delighted. The Lichtenberg Kolleg has a research working group dedicated to Enlightenment Studies: ‘Globalising the Enlightenment: Knowledge, Culture, Travel, Exchange and Collections.’ It is a wide-ranging and rigorous remit, ensuring ‘the interdisciplinary study of the Göttingen and European Enlightenment(s) within its wider Atlantic and Global Contexts. Göttingen is not only associated with the Enlightenment’s German manifestations, but also with the Enlightenment of other European and Atlantic regions and countries.’ In this framework I have been having a closer look at the European networks of Sir Hans Sloane (1660-1753), furthering my work on the origins and meanings of Sloane’s early modern collections that are the foundation collections of the British Museum, British Library and Natural History Museum. Dominik and I discussed these issues and the increasing body of humanities research that is dovetailing together the histories of colonisation and empire, environmental history, histories of collections, and histories of science and knowledge production. We then designed an exploratory workshop for Göttingen researchers which could begin to chart this research territory in relation to present-day policy contexts. These current policy contexts go beyond the Nagoya Protocol to include, for example, the Intergovernmental Committee on Traditional Knowledge that is being managed through the World Intellectual Property Organisation. What might early modern museum catalogues contain in terms of critical information about the contributions of the colonised and the enslaved to the long-term development of biological and medical knowledge? Are these archival records forms of ‘intellectual property’ that could have value in social justice contexts as well as in epistemological contexts? We took these thoughts and the contributions of our working group to the recent conference ‘Politics of Natural History‘ organised by the Museums für Naturkunde in Berlin. The subtitle of the conference was ‘How to Decolonise the Natural History Museum?’ and this remains an open question: we hope that our contribution will have gone some way towards the kinds of methods that will have to be developed in order to make this a reality. In terms of my own histories, I can see this question recurring again and again — both with The Wilds and The Deep (1990) and in my work with CAHR (2009-2011). Working in Göttingen also gave me the opportunity to reconnect with Margarete Vöhringer, who has been appointed as Professor in the University’s Chair for the Materiality of Knowledge — a position unique to my knowledge in Europe. Her Professorship will see her working across disciplines in her areas of expertise between the history of art and the history of science, working closely with the Zentrale Kustodie and the University’s collections to train students at all levels in methods of material culture of the history of knowledge. With Margarete I have been sharing knowledge about training in collections-based research and looking at the design of pedagogical underpinnings for the group of doctoral researchers who will be taking up Volkswagen-Stiftung funded scholarships this academic year to study the history of exhibitions. It is not the first time that Margarete and I have worked on histories of exhibitions in tandem. I first met Margarete in 2008 when we were both researchers at the Max Planck Institute for the History of Science in Berlin, and then in 2010 she co-convened a significant conference entitled ‘Wissenschaft im Museum / Austellung im Labor‘ at the Universität Tübingen with Anke Te Heesen (now Professor of the History of Science at the Humboldt University, Berlin). The premise was to explore the porosity between museum practice and science practice – across the whole range of sites of knowledge from labs and teaching contexts to exhibitions and professional self-fashioning. As one of the speakers, I presented an overview of the development of Split + Splice (2009) alongside co-curator Susanne Bauer. The proceedings have been published by Kadmos, appearing in 2014 under the same title as the conference. This conference was also my first introduction to Christian Vogel, who at the time presented early draft sections of what was then his doctoral project, concerning the design of lab and clinic based X-Ray displays in Germany in the 1910s. Happily, Christian is now the Research Manager at the Zentrale Kustodie at the University of Göttingen, and he worked closely with Margarete to develop the framework for the history of exhibitions doctoral projects that Margarete is leading. It was wonderful to be invited to bring my own expertise into this context, working with colleagues I respect and admire. I was also invited to contribute to some of the development workshops for the design of research teaching and training with the University’s collections that will be taking place in the new Forum Wissen building currently under construction. The pedagogical design process includes plans for both built infrastructures and the processes and practices that will be required to activate the collections in cross-disciplinary ways. 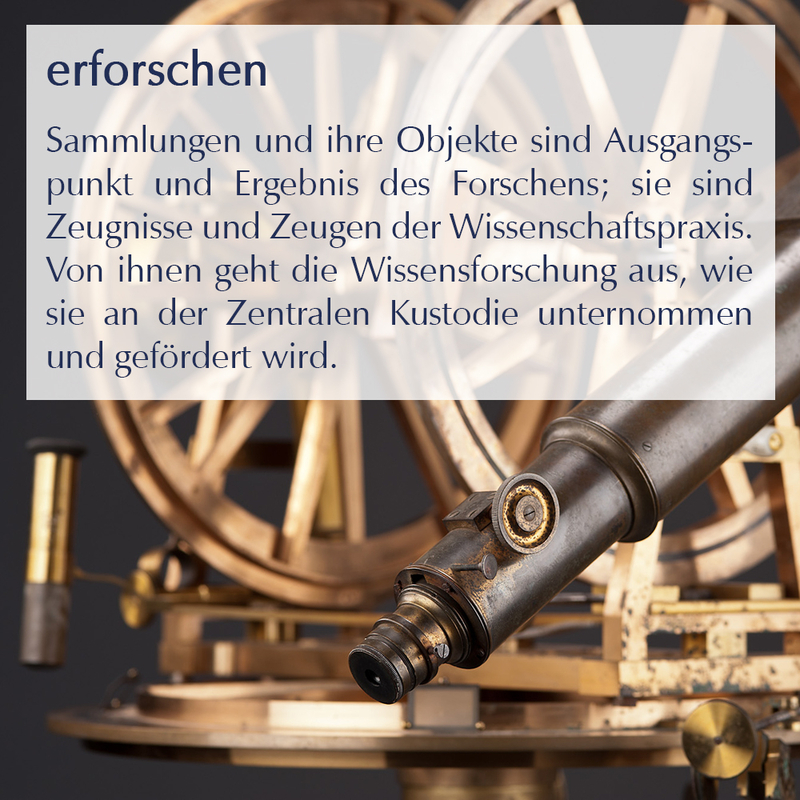 Among the most exciting things about Forum Wissen is that it will deeply embed collections from across the university departments in teaching and research in a single site, circulating the material culture of one discipline and department into the methodological orbit of another. Spearheading the development of the Forum Wissen is the Director of the Zentrale Kustodie, Marie Luisa Allemeyer. I first met both Dominik Hünniger and Marie Luisa Allemeyer in 2015 at a meeting of international University museum directors and research directors convened by The Hunterian Museum of the University of Glasgow. It was one of a cluster of meetings held that year to begin articulating the research practices that are the tacit knowledge of museum practice, and to begin to articulate them as ‘Museum as Method’ to borrow Nick Thomas’s phrase. We were also all three present a year later at the Museum as Method conference held at CRASSH, University of Cambridge. In the run-up to that conference, I laid out some of the territory that needs to be addressed on the blogsite of the ERC-funded Pacific Presences project. Marie Luisa’s work in creating the team at the Zentrale Kustodie and in leading the consensus and collaboration process that is supporting both departmental collections management and the creation of the Forum Wissen is exemplary and inspiring. Supported directly by the University’s President and by an international advisory team, these interlocking projects are among the most exciting developments in University museum practice, teaching and research to be found in Europe today in my opinion. Germany is ahead of the game in joining up these dots: for the past six years, the Coordination Centre for Scientific University Collections in Germany under the sustained leadership of Dr Cornelia Weber and the guidance of Professor Dr Jochen Brüning, has consistently and persuasively made the case for the huge value of university collections to both research and teaching. With the Forum Wissen and the team at the Zentrale Kustodie, this value will finally be manifest.